Yorkshire based call centre with virtual switchboard, call handling, and virtual reception service. At CALLCARE we provide our clients with custom call handling services that help them meet their specific requirements. As the northern powerhouse continues to gain strength, Yorkshire cities like Leeds, Bradford and Sheffield and becoming increasingly important as business hubs. 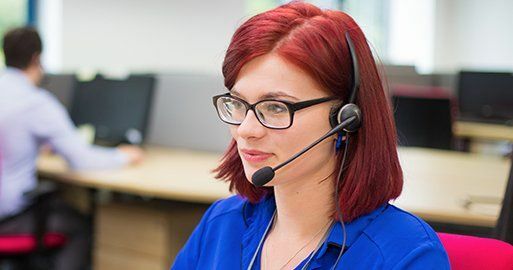 By providing a Yorkshire Call Centre, CALLCARE are able to support Yorkshire businesses effectively and provide call handling operators with familiar and friendly local accents. In addition to our Yorkshire Contact Centre, we have offices and call centres across the UK. By having sites across the country we can still provide our service in the event of a systems failure at one site or in one region. This makes us perfectly placed to support your business with disaster recovery. We have strong working relationships with our clients and regularly receive feedback on how integral our services are to the organisations we support. Clients tell us how useful it is to have 24/7 cover to answer emergencies, respond to enquiries, or take a message after the office has closed. Our call handlers ensure that whenever a call comes in it is handled expertly, and that your caller receives a great customer experience. When you use CALLCARE to manage your call handling you make sure that your clients can always get in touch with your business. It gives you the peace of mind that you are not missing any new enquiries or potential opportunities to win clients and grow your business. Whether it is message taking, customer service, managing order lines or running your switchboard we help you by providing the cover you need to have an effective communication strategy 24 hours a day. How can outsourcing benefit your customer service? When you outsource your contact centre and call handling requirements you’re doing more than just having your calls answered. We can support your business in all activities including making outgoing calls to conduct surveys or inform clients about an event; managing your live chat, and providing bespoke solutions to meet any other requirements. CALLCARE will provide you with the support you need to offer unparalleled customer service at all times, providing a competitive edge by giving callers the attention they deserve every time they phone in. If you want to know more about our services, get in touch with us on 0345 055 8444.